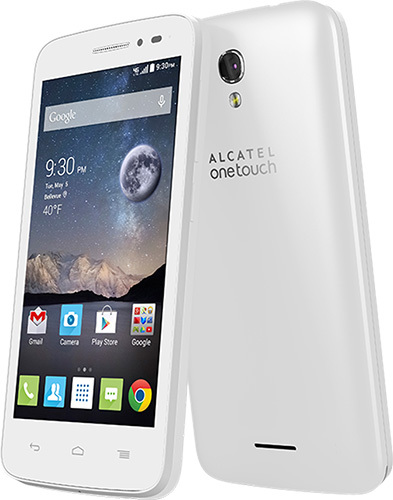 Available now from T-Mobile is Alcatel Onetouch’s Pop Astro, an entry-level, LTE-enabled smartphone with an attractive price that should be able to fit well within low budgets. More information, including the full spec list, can be found below. Some of the basic specs include a 1.5GHz quad-core CPU (by MediaTek), Android 4.4 “KitKat,” a 5MP rear-facing camera, 4G LTE support (bands 2/4/12), 4GB of internal storage (expandable to 32GB via microSD) and a 4.5-inch display (540×960 resolution). While its specs aren’t the greatest, they’re still fairly reasonable, especially considering its $149.76 price (or $6.24 per month over 24 months). However, the Pop Astro, while seemingly decent overall, doesn’t position itself very well compared to the even more affordable second-generation Moto E.
IRVINE, Calif. – April 29, 2015 – ALCATEL ONETOUCH today announced availability of their newest affordable LTE smartphone, POP Astro™, available at T-Mobile stores and online for $0 down, and $6.24 per month over 24 months ($149.76 MSRP)*. The incredibly affordable POP Astro continues ALCATEL ONETOUCH’s legacy of offering high-quality, low-cost smartphones to T-Mobile customers and will be available at participating T-Mobile retail locations, online and authorized retailers starting on April 29. Powered by MediaTek’s latest quad-core LTE processor – the first of its kind in North America – the POP Astro brings the speed of LTE to the masses, including HD Digital Voice, allowing for crystal clear calls between capable devices any­where on T-Mobile’s Data Strong™ network. The POP Astro is also VoLTE compatible as well as Wi-Fi calling ready. With improved graphics processing power that delivers high-end performance with low power consumption, the ALCATEL ONETOUCH POP Astro can handle all of your media, gaming and app usage giving users an out of this world experience. Featuring a crisp 4.5-inch qHD (960 x 540) display and easy to hold design, the POP Astro is the perfect smartphone for consumers who want LTE connection speeds, without having to pay unnecessary high prices. A follow up to the popular Fierce and Fierce 2 smartphones previously released with T-Mobile, the POP Astro comes with a 5MP main camera with live filters, allowing users to find the best look for their photos before snapping the perfect shot. The POP Astro also runs the easy-to-use Android operating system, giving consumers access to all the great Google Now features, while keeping the overall user experience simple and intuitive. 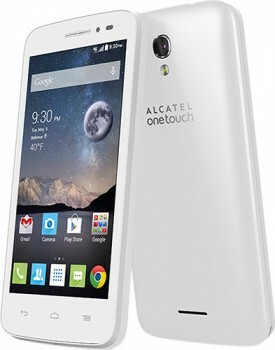 For more information on POP Astro, or to learn more about ALCATEL ONETOUCH, visit www.alcatelonetouch.us. *Device Pricing for Well-Qualified Customer: $0 down + $6.24/mo x 24, total price $149.76. If you cancel wireless service remaining balance on phone becomes due. 0% APR; O.A.C. Taxes & fees additional. Qualifying service required.